"I cannot recommend this office enough!" "Dr. Coogen is a miracle worker. Very knowledgable, with fantastic staff." "The whole staff is awesome here. Dr. Coogan was very helpful and professional." "I couldn't be happier with my chiropractic care!" Dr. Ryan Coogan, D.C., is a board certified chiropractor who offers treatment options for a myriad of chronic and acute health concerns including back pain, neck pain, sciatica, whiplash, injuries sustained in car accidents, headaches, and problems related to disc injuries or spinal misalignment. The doctor offers a full range of chiropractic services in addition to massage therapy and other specific techniques to enhance the benefits of spinal adjustments. 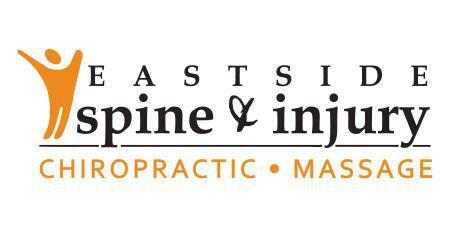 At Eastside Spine & Injury, in Kirkland, Washington, Dr. Coogan and his staff provide the highest quality care to each patient on a personalized basis. Dr. Coogan received his undergraduate degree from Washington State University in 1996 and his Doctorate in Chiropractic from Life Chiropractic College West in San Francisco in 2001. After graduation, he worked for 3 more years to gain additional skills as an associate doctor. After opening a successful practice in the Shoreline, Washington area, Dr. Coogan moved to Kirkland, Washington and opened Eastside Spine & Injury in 2009. He enjoys spending time with his children and engaging in his favorite hobbies. Dr. Coogan serves residents who live in Kirkland, Bellevue and the greater Seattle area. We work with many types of medical insurance and we will be happy to verify how your insurance will participate with your care. Please call our office to find out more about your coverage.